ISOBAR can keep vaccines cold for up to six days and can be recharged on the go in just over an hour, providing a safe and effective means of transportation. 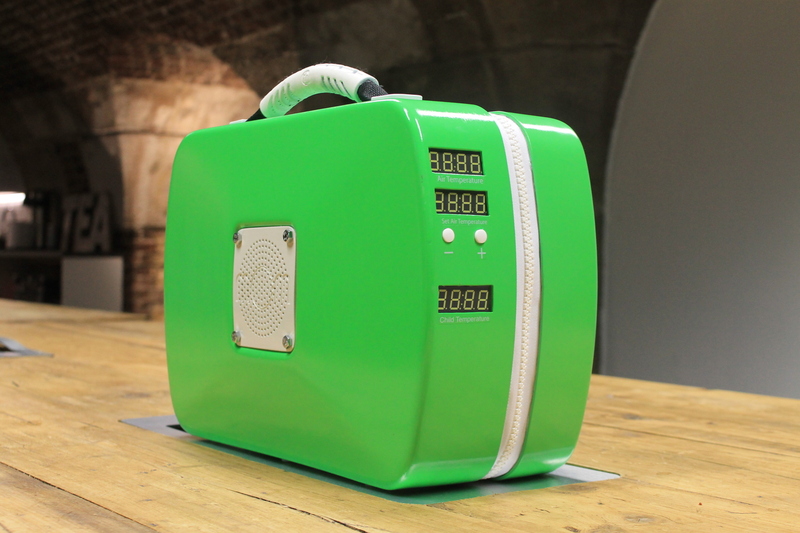 The device was invented by Loughborough University Industrial Design and Technology graduate William Broadway as part of his final year project. William will receive £2,000 to develop ISOBAR, which he plans to put towards building more prototypes and applying for patents. ISOBAR uses a chemical process to provide a long term cooling effect for vaccine delivery. A mix of ammonia and water is heated in a lower pressure vessel. The ammonia vaporises and separates from the water into the upper chamber where it is trapped by a valve. It remains trapped until the cooling effect is needed. It is anticipated that ISOBAR could save millions of lives, due to the fact that current vaccine programmes in developing countries do not meet the international standards for temperature safe vaccine distribution which leads to vaccines losing potency. Unsafe temperature control – 70% of vaccine require 2-8˚C to maintain potency. Studies conducted by path.org found that 77% of countries did not comply with safe vaccine transportation practices outlined by the World Health Organisation. ISOBAR and the UK national runners up will compete in the next round of the James Dyson Award as they go up against the best entries from 22 countries. The international winner will be announced on the 27 October, a title which is awarded along with a £30,000 prize to help the inventor in further developing their idea. 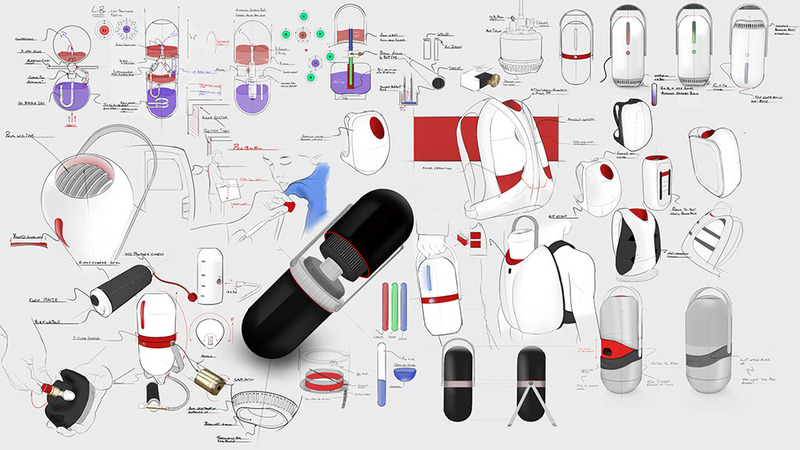 In 2014, the International James Dyson Award was won by James Roberts, a fellow graduate from Loughborough Design School, with his invention – the mOm Incubator – a life-saving, low cost, inflatable, baby incubator for use in the developing world. Other James Dyson award project competitors are listed at the award site.